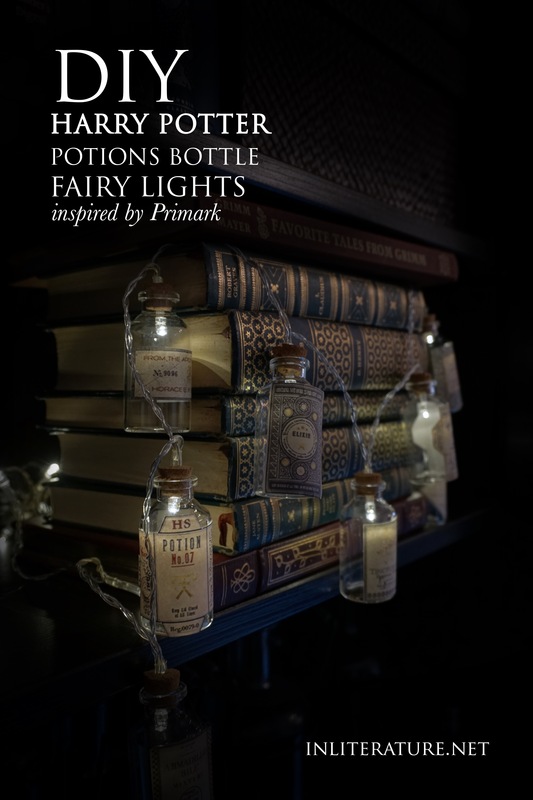 You might have seen cute little Primark Harry Potter-inspired potions bottle fairy lights on Instagram. 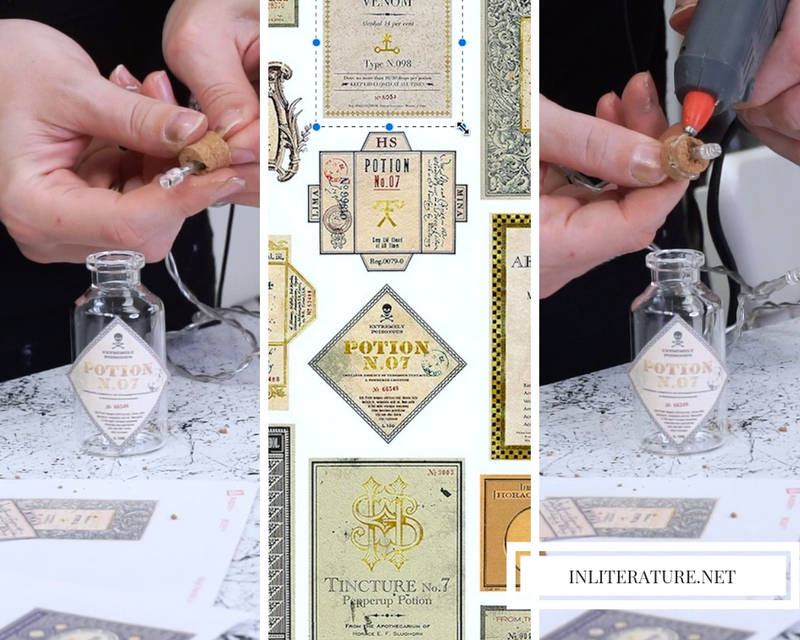 For those of us who don’t live in the UK, didn’t pick them up while there, or just wanted labels that are more authentic to Harry Potter, here’s how to make your own [super quick, easy and cheap] to decorate your bookshelf. Print off the labels on the mail labels. Use scissors and cut out the labels. Use the knitting needle to pierce through the middle of the cork to create a hole large enough for the fairy light to fit through. Repeat until all the cork tops have holes in. Thread each light through the holes. Use the hot glue gun to run a thin line of glue around the edge of the cork top, before pressing it back into the glass bottle. Repeat until complete. Pop in batteries and hang your new Harry Potter inspired potions bottle fairy lights on your bookshelf! There are so many other book-inspired crafts you can make on InLiterature.net! Or how about a sweet book inspired treat?